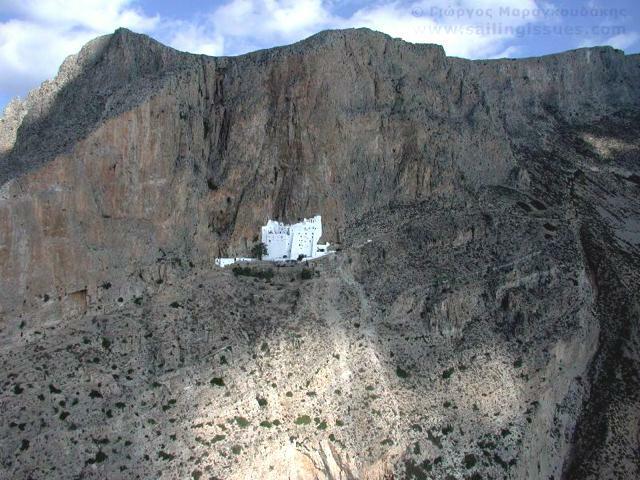 Amorgos, the island of the “Deep Blue” is located at the Southeastern edge of the Cyclades, 136 n.m. from Pereus. It is an oblongue island with an abrupt mountainous morphology. It features two natural ports, Katapola at its centre and Aigiali at the North. 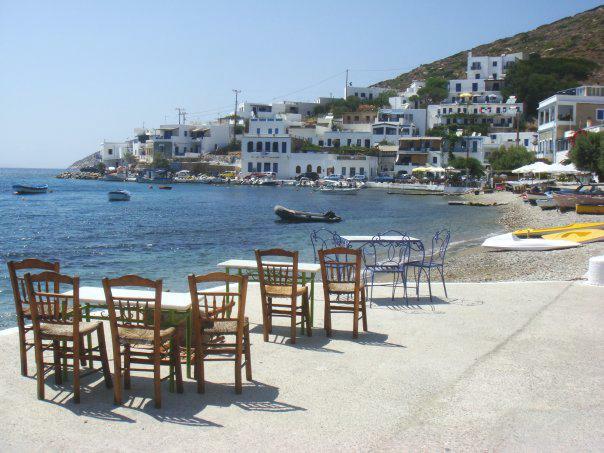 Amorgos is distinguished for its archeological wealth, popular architectural art, and local customs. An abundance of archaiological ruins, sites and findings bear witness to the fact that the island has been inhabited since prehistoric times. The island of Minoas, Arkesini and Aigiali, thrived at the peak of the Cycladic civilization promoting commerce, navy, the letters and arts. 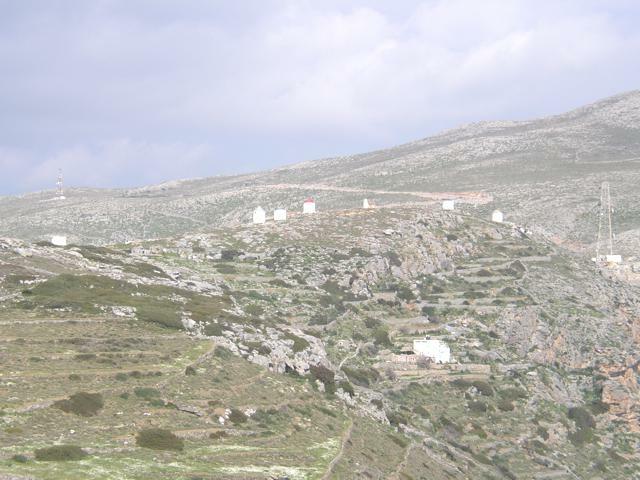 At the Northeast of Chora, the monastery of Panagia of Hozoviotissa is located. It was founded by the Byzantine Emperor Alexios Komninos in 1088 and it is considered a most important site. Austere and simple as it is, it is in perfect harmony with nature, hutched behind the steep, thretening rocks which protect it and make it visible only from the sea. It derives its name from an area called Hozova at the Holy Land from which the icon of Panagia (Virgin Maria) was taken. 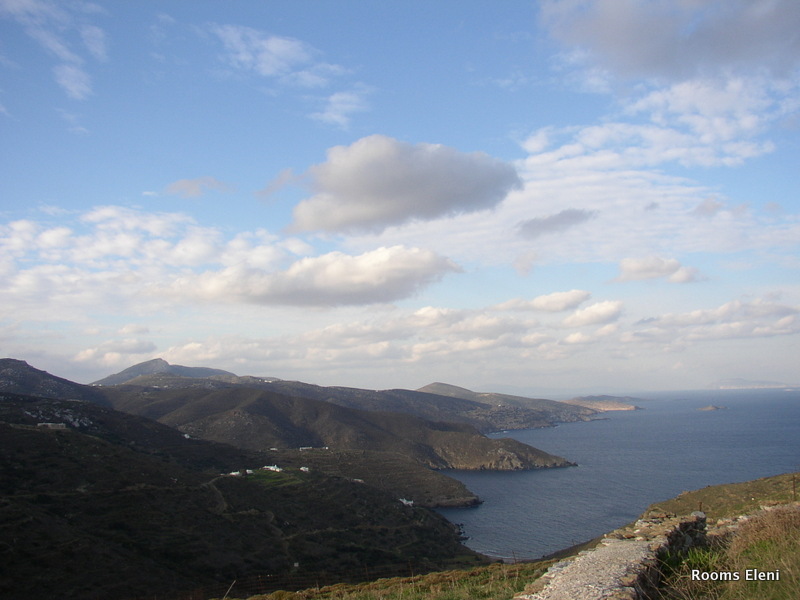 Katapola is the best natural harbour of the Cyclades. Chora with its white painted houses is built around the Venetian fortness at the top of the hill, Aigiali, the island’s second harbour with its beautiful beach, and Arkesini, built near its ancient namesake, all draw the visitor’s attention immediately. The local residents occupy themselves with agriculture and animal farming as well as with fishing, which is plentiful since in this region of the Aegean sea fish is abundant. The recent years the people’s emphasis on tourism boosted their income and enabled many families who had migrated to return to the island.